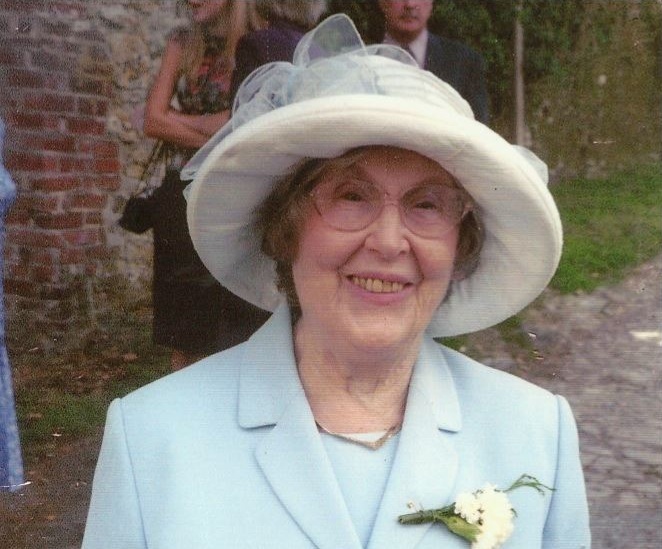 My grandmother died a couple of weeks ago on the 9th of October. Her funeral is today. Unfortunately it hasn’t been possible for me to make it over to England at short notice. I would like to write her life story here, but since I wasn’t around for the first 57 years, I’m not really up to the job. Instead, then, my memories. Nana lived down in Kent, and I grew up in the West Midlands, so I only used to see her during the school holidays when we’d go for week-long visits. She lived with my Grandad in a bungalow in a quiet little village called Barham. It was strange and beautiful down there – big flat fields, not like the rolling patchwork of Herefordshire. Every morning we’d get up, eat chipolatas and feed the gang of birds outside the front door. There was a big old crow, a seagull with a leg missing and many others, many with their own names. We’d take trips out to different towns in the daytime, to visit different relatives, and to go to the beach. It always seemed exotic somehow. A couple of times we managed to be in the village when it flooded and a temporary river appeared. Nana always seemed so busy – she worked part-time as a nurse, took part in the WI and always seemed to be taking care of my disabled cousin – but this only occurs to me now. At the time, that was just how she was. 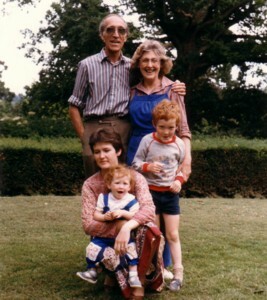 A little less than twenty years ago, my granddad died. Nana was left alone in the house, but she continued to take care of herself right into her mid-eighties. She would make such a fuss every time we came to stay, it was hard to stop her making food and drinks for us when she’d be much better off sitting down and letting us take care of her, so keen was she to take care of people. Being mostly out of the UK I didn’t see enough of her this past decade, just the occasional trip at Christmas or New Year, and a quick visit for a wedding. The last time I spent any time with her was Christmas 2008. Even at that stage her mind was perfectly sharp, though physically she was quite frail. It was only this year that she started to really deteriorate. She passed away peacefully in her sleep at the age of 89. I’d like to write more, but what I have are just fragments of memory – images, smells, sounds, feelings – all a jumble and all too self-centred, as childhood memories tend to be. Other people are much more qualified to fill in the gaps. All I can hope is that I can be so genuinely kind-hearted and touch as many people as she did. Goodbye Nana, and thankyou. This entry was posted in diary and tagged rip, uk life. Bookmark the permalink. So glad you have so many nice memories to wrap around you at this sad time. Take care!